According to Network Rail, there is an average of five bridge strike incidents every day. This typically rises to 10 per day during October. 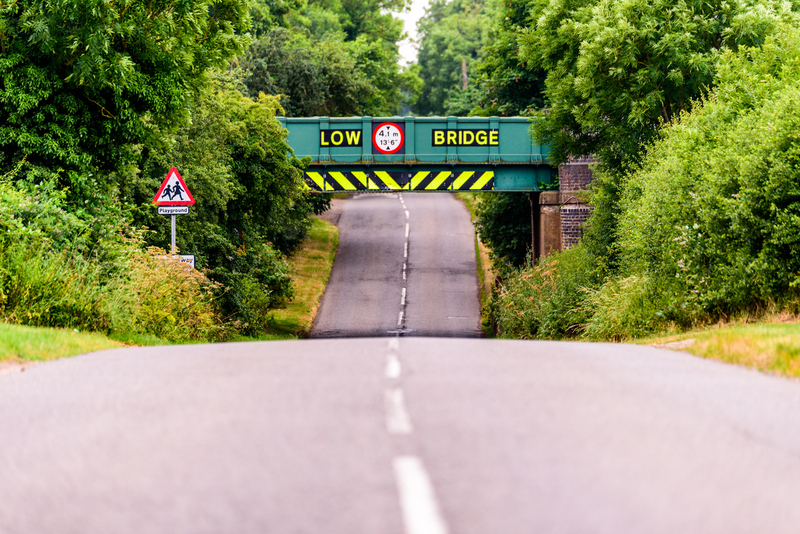 Data from Network Rail reveals that there are currently 1,800 incidents each year related to heavy goods vehicles striking bridges, with an estimated cost of around £13,000 per strike, including bridge repairs and compensation paid to train operators. The overall cost of bridge strikes is estimated at £23 million per year. In order to combat this, the National Bridge Strike Prevention Group, chaired by Network Rail, has produced a series of ‘Prevention of bridge strikes’ guides for professional drivers, operational staff, drivers of passenger vehicles and transport managers as well as a handy bridge audit check sheet as part of their ‘Wise up size up’ campaign. To access the free guides and related documents, please visit gov.uk here. If you would like to know more about the ‘Wise up size up’ campaign and how you can get involved, please visit Network Rail website here. In accordance with FORS Bronze requirement O1 ‘Routing and scheduling’, operators shall ensure that the most safe, efficient and appropriate vehicles are used, and that any vehicle routes to sites or premises are carefully selected and adhered to unless directed otherwise by a relevant authority. To help communicate the importance of routing and scheduling to your transport team, FORS has developed a toolbox talk on the topic ‘O1: Routing and scheduling’, available to download here. To assist with the prevention of bridge strikes, FORS will soon be launching a new toolkit, ‘Bridge Smart, prevention of bridge strikes’, which includes guidance for managers and drivers and a new eLearning module for drivers. Look out for more information on this in a FORS eNews soon.